Villahermosa is the capital city of the Mexican state of Tabasco and also the municipal seat of the Centro municipality. It is located around 863 kilometres from Mexico City and a thousand kilometres from Cancun. The Carlos Rovirosa Perez International Airport, also known as Villahermosa Airport is the main airport serving the city and is 15 minutes drive from the city. It is a small international airport and is served by several national carriers and a few international carriers as well. Tourists coming to Villahermosa use car rental to move around the city and this can be easily arranged at the airport. The city became rich in recent times because oil has been found in the area. The exploration for oil also resulted also in the finding of artefacts from the Olmec culture. The political power of Tabasco resides here and is home to the largest population of the state. It is a modern city which is rich in natural resources. It was founded on 24th June, 1564 by the Spanish Diego de Quijada on the banks of the Grijalva River and was named Villa Hermosa. In 1826 the village was raised to the rank of city under the name of San Juan Bautista de la Villa Hermosa. 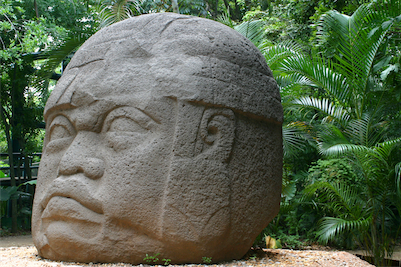 La Venta Museum-Park, which houses a small zoo, has got the most important collection of Olmec artefacts. The museum is located in a park and is one of the biggest tourist attractions in Villahermosa. La Venta is a marshy area which lies north of the city. Scientists came across a number of artefacts whilst drilling for oil. A number of exhibits related to the Oltec culture can be seen there. Tourists who come to this beautiful city use car hire to see the various attractions. The Planetarium is also very popular amongst visitors. It is a part of the cultural centre and is located near to a big shopping mall and the city hall. Tomás Garrido Park is also worth visiting. The La Venta Museum is in this park and it is a great day out for the family. Yumka is a ecological reservation with a size of 101 hectares and one can find all three ecosystems found in Tabasco here. Savannah, a lagoon and forest with all the animals normally living there can be seen and tours are on offer. The Esperanza Iris Theatre, Plaza de Armas, Zona Luz, the Catedral del Senor de Tabasco, CICOM complex, and La Choca Park are some other major attractions and these are easily reached with car rental. Rentalcargroup.com compares car rental prices for Villahermosa Airport). We work with many car rental companies so the quality of the cars is guaranteed. This way you will be sure to get a rental car that suits you the best and for a competitive price. Last month, the average car rental length at Villahermosa Airport was 6 days. The average rental car length at Villahermosa Airport is 6 days. The most booked rental car type currently at Villahermosa Airport is COMPACT cars. Last year, the most booked rental car type at Villahermosa Airport were COMPACT cars. How much does it cost to rent a car at Villahermosa Airport? Last month, the average car rental price was 86 USD. Last year, how much did it cost to rent a car at Villahermosa Airport? Last year, the average car rental price was 105 USD. What is the current average daily price to rent a at Villahermosa Airport? Last month, the average rental price was 14 USD per day. How much did it cost to rent a car at Villahermosa Airport over the past 12 months? Last Year, the average rental price was 17 USD per day. The car rental companies available at Villahermosa Airport are: Alamo, National, Dollar. See below last 5 customer reviews. Our customers rated Villahermosa Car Rental with an average of 0.00 based on 0 ratings.